Its a question of Murder Mystery ???? The cost depends on whether you book the popular Classic Murder Mystery performed by five actors orThe Murder Game performed by two actors and your location. As soon as we know this we can email you straight back an exact quote. Is there a choice of storylines ? and three or four with The Murder Game. Does a murder mystery need to be build around a meal ? Murder mystery’s are most often build around a meal but don’t need to be. As long as this is mentioned when discussing or booking the murder mystery, the performance can be adapted. How many guests can attend a murder mystery ? so it is very flexible. How far in advance would i need to book ? There is no set period but the earlier the better in order to be able to guarantee you your chosen date. What type of venue is suitable for a murder mystery ? Most venues are suitable including hotels, restaurants, clubs, marquees , private homes, village halls. As long as there is enough space for the number of guests attending (and of course the actors) ! Do we have to play a character in the murder mystery ? refer to an information sheet when asked questions ,they don’t need to learn any lines. character name then that’s fine. The main objective is to have fun and dressing up can be a great way of adding to the enjoyment and atmosphere. Do we need to dress up ? Dressing up is always optional although, if you do it’s great fun and can add to the atmosphere and chosen time period ! Do we work in teams ? are the most popular option. How long does a typical murder mystery evening last ? If built around a meal our Classic murder mystery normally lasts as long as the meal lasts ! The actors start performing at the pre dinner drinks and finish after the dessert course. action lasting (approx.) seventy minutes. If we decide to go ahead how would we book and when would we need to pay ? just need to simply fill in your details and email back to us. A few days later we would email you a 50% deposit invoice with the balance invoice being due the week before the event. Are there general public murder mysteries we can attend or is it just private/company murders you offer ? 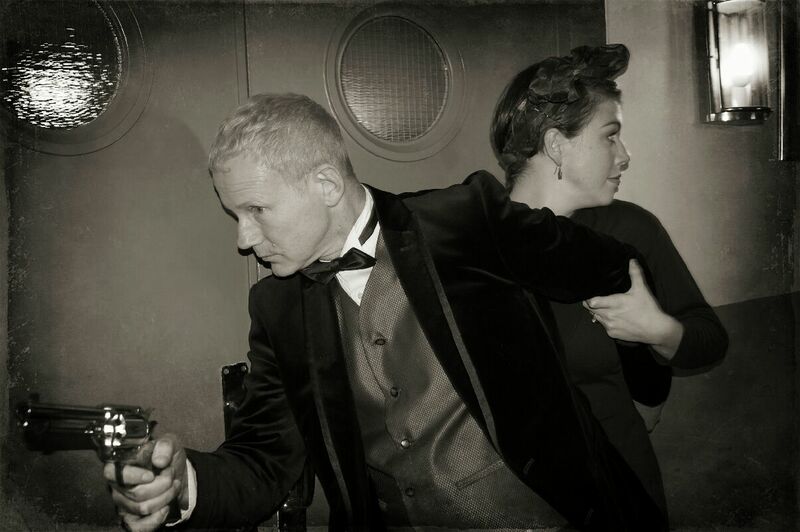 You can book a murder mystery dinner or weekend exclusively for your group or company. You can attend one of the arranged murder mystery evenings at several different South West based venues. Details of these can be found on the “Latest News Page” of this website.